Two of the most important characteristics of good design are discoverability and understanding. Discoverability: Is it possible to even figure out what actions are possible and where and how to perform them? Understanding: What does it all mean? How is the product supposed to be used? What do all the different controls and settings mean? Design is concerned with how things work, how they are controlled, and the nature of the interaction between people and technology. When done well, the results are brilliant, pleasurable products. When done badly, the products are unusable, leading to great frustration and irritation. Or they might be usable, but force us to behave the way the product wishes rather than as we wish. My work with that committee :hanged my view of design. Today, I realize that design presents a fascinating interplay of technology and psychology that the designers must understand both. Affordances are the possible interactions between people and the environment. Some affordances are perceivable, others are not. Perceived affordances often act as signifiers, but they can be ambiguous. Signifiers signal things, in particular what actions are possible and how they should be done. Signifiers must be perceivable, else they fail to function. Emotion is highly underrated. In fact, the emotional system is a powerful information processing system that works in tandem with cognition. Cognition attempts to make sense of the world: emotion assigns value. It is the emotional system that determines whether a situation is safe or threatening, whether something that is happening is good or bad, desirable or not. Cognition provides understanding: emotion provides value judgments. A human without a working emotional system has difficulty making choices. A human without a cognitive system is dysfunctional. Do not blame people when they fail to use your products properly. Take people’s difficulties as signifiers of where the product can be improved. Eliminate all error messages from electronic or computer systems. Instead, provide help and guidance. Make it possible to correct problems directly from help and guidance messages. Allow people to continue with their task: Don’t impede progress—help make it smooth and continuous. Never make people Start over. Assume that what people have done is partially correct, so if it is inappropriate, provide the guidance that allows them to correct the problem and be on their way. Think positively, for yourself and for the people you interact with. In an earlier book, Things That Make Us Smart, I argued that it is this combination of technology and people that creates superpowerful beings. Technology does not make us smarter. People do not make technology smart. It is the combination of the two. the person plus the artifact, that is smart. Together, with our tools. we are a powerful combination. On the other hand, if we are suddenly without these external devices, then we don’t do very well. In many ways, we do become less smart. Given the mismatch between human competencies and technological requirements, errors are inevitable. Therefore, the best designs take that fact as given and seek to minimize the opportunities for errors while also mitigating the consequences. Assume that every possible mishap will happen, so protect against them. Make actions reversible; make errors less costly. Here are key design principles: Put the knowledge required to operate the technology in the world. Don’t require that all the knowledge must be in the head. Allow for efficient operation when people have learned all the requirements. when they are experts who can perform without the knowledge in the world, but make it possible for non-experts to use the knowledge in the world. This will also help experts who need to perform a rare, infrequently performed operation or return to the technology after a prolonged absence. Use the power of natural and artificial constraints: physical, logical. semantic, and cultural. Exploit the power of forcing functions and natural mappings. Bridge the two gulfs, the Gulf of Execution and the Gulf of Evaluation. Make things visible, both for execution and evaluation. On the execution side, provide feedforward information: make the options readily available. On the evaluation side, provide feedback: make the results of each action apparent. Make it possible to determine the system’s status readily, easily, accurately, and in a form consistent with the person’s goals, plans, and expectations. Designers often start by Questioning the problem given to them: they expand the scope of the problem, diverging to examine all the fundamental issues that underlie it. Then they converge upon a single problem statement. During the solution phase of their studies, they first expand the space of possible solutions, the divergence phase. Finally, they converge upon a proposed solution. With massive change, a number of fundamental principles stay the same. Human beings have always been social beings. Social interaction and the ability to keep in touch with people across the world, across time, will stay with us. The design principles of this book will not change, for the principles of discoverability, of feedback, and of the power of affordances and signifiers, mapping, and conceptual models will always hold. Even fully autonomous, automatic machines will follow these principles for their interactions. Our technologies may change, but the fundamental principles of interaction are permanent. 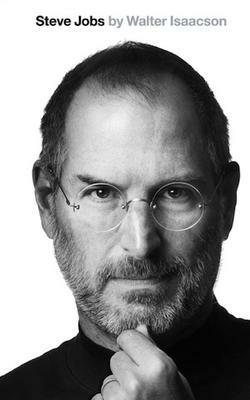 A must read for anyone involved in designing products! 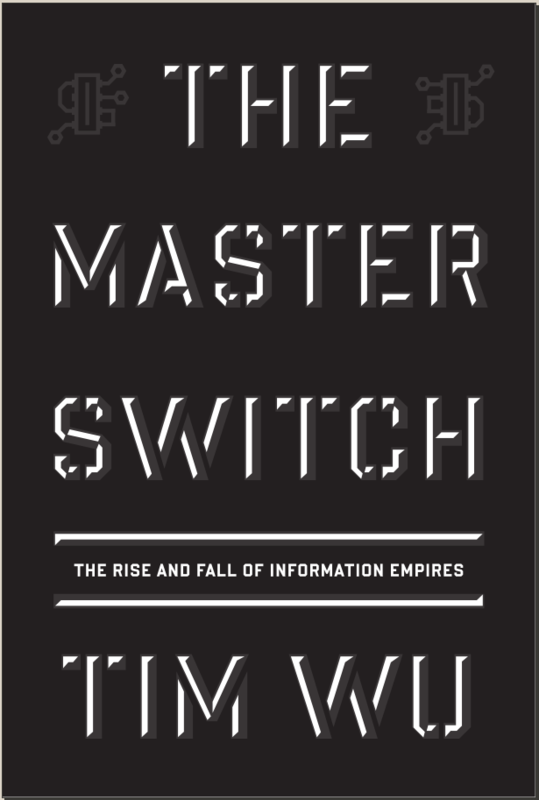 I recently finished reading The Master Switch – The Rise and Fall of Information Empires – by Tim Wu.